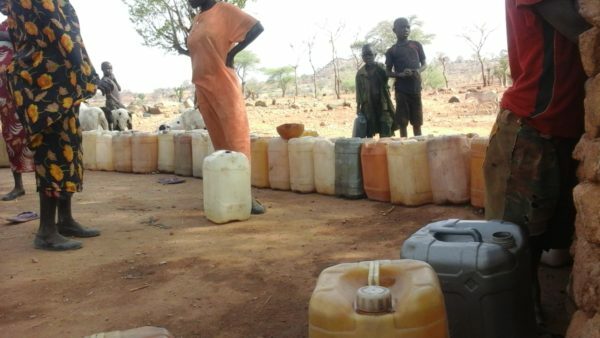 PPF's Emergency Borehole Repair team in the Nuba mountains has worked tirelessly through one of the most dangerous fighting seasons in more than five years of conflict to provide safe water to thousands of Nuba families. We recently received a report from the team leader that the 400th repaired well has been passed! Many broken well pumps are located in areas very close to enemy forces, so we praise God that He has protected and prospered our brave team members. We have just placed a new order for more borehole spare parts to keep our team working. Your support of PPF's Safe Water Program is literally saving lives and preventing disease. We are so blessed - way beyond what we even realize. For example, when we turn on the tap in our kitchens, safe water comes out. But for one of Sudan's large Christian minorities living in the war-torn Nuba mountains, access to safe water can cost you your life. For nearly five years, the Islamist government in Khartoum has tried to annihilate the Nuba people. The government has blocked humanitarian access to the region to starve them out, launched major military offensives on the ground to drive them out and purposefully targeted schools, hospitals, churches and marketplaces with an aerial terror campaign to scare them out. But I have good news: the Islamists are failing. And they are failing in large degree because of active compassion from people like you! 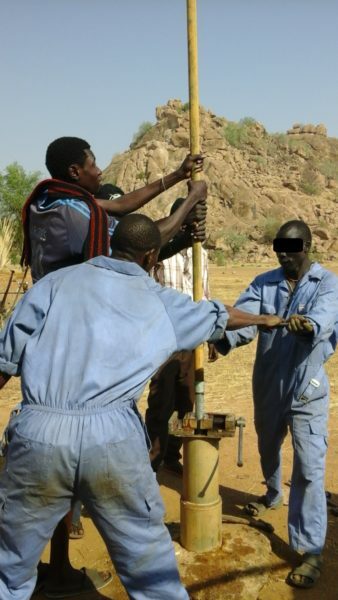 In early 2013, PPF began an extensive well repair operation in the Nuba mountains to provide people with access to safe water. Hundreds of boreholes are in desperate need of repair. They are broken down from constant use, and there is limited access to spare parts or assistance from many humanitarian organizations. Our initial goal was to repair 15 boreholes. At the time, the main challenge wasn't just raising enough money to repair the wells, but whether logistically we could repair any. Access to the Nuba by road is seasonal at best. Parts must be shipped through South Sudan and then sent across the border into an active war zone. Work must take place under constant threat of air strikes. But by God's grace, working through your help, we exceeded our goal in 2013, and repaired 95 boreholes. In 2014, our goal was to repair 105 additional boreholes. Again, we appealed to you, and you responded. Our objective was reached. 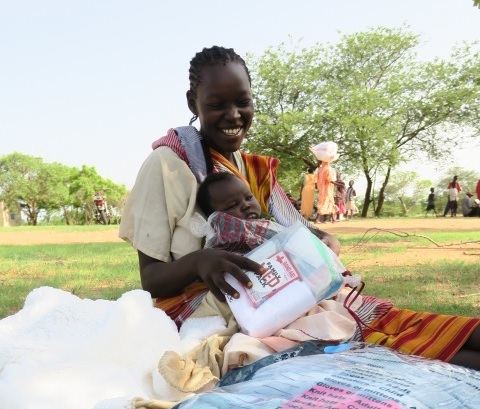 In 2015, we began Phase III to focus on repairs in remote areas far from any base of support. At the end of this phase, 82 more boreholes were repaired, bringing the grand total to 282. It's now been nearly five years since the war in the Nuba began. The Islamist government in Khartoum is not letting up. All humanitarian assistance for the Nuba is still banned. Outside organizations like PPF are considered criminal and subject to treatment as such. Doctors Without Borders (MSF) learned this when their hospitals in the Nuba were repeatedly bombed by the Sudan Air Force in 2014 and 2015. They got the hint and pulled all their people out of the country. The situation is very difficult. But the persecuted church in the Nuba remains strong. Although Safe Water may be difficult to find in some areas of the Nuba mountains, there is evidence of the "Living Water" everywhere. Scores of church buildings dot the landscape, and on Sundays, they're full. Pastors conduct house-to-house evangelism. 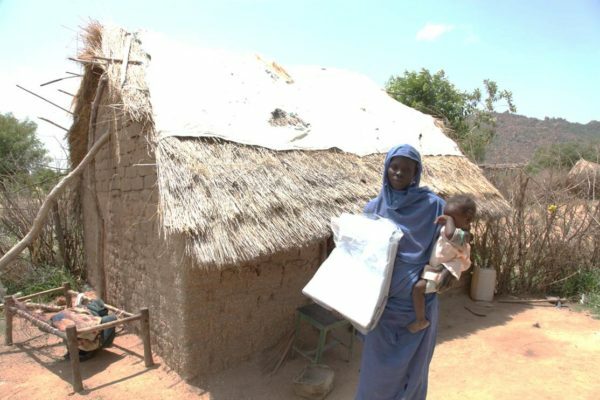 Christians share their limited supplies with their Muslim neighbors or family members. The Family of Faith continues to grow - and so does PPF's role in the conflict. This year, we have begun Phase IV of our emergency borehole repair project. For this phase, we have decided to again focus on several remote areas where Nubans live dangerously close to enemy forces. We have set a goal of 70 more repaired boreholes by the end of 2016. Although the cost of such a project varies due to many logistical challenges related to sourcing materials, cost of fuel, available vehicles, moving men and materials to remote areas, etc., we have worked out an average cost of $1,000 per repaired well pump. And the good news is that we have already raised $50,000 towards Phase IV. To complete our goal, we need to raise another $20,000. Will you help us reach our goal? Your giving is truly making a difference. Will you continue to stand with our persecuted brothers and sisters in Sudan? Funds raised in excess of our current goal will be designated "where needed most" to support all PPF ministry activities.